Facing the current refugee situation, U.N. member states got together two weeks ago to sign a declaration for a more coordinated response to the refugee crisis. Yet, critics have pointed out that the goals are too vague and the document is not legally binding. Such meetings have happened several times in the course of the EU refugee crisis – with very little outcome. In reality, “grand solutions” for large-scale problems either do not exist, or they are too vague or controversial to be of much value. The Paris climate agreement is another example of an attempted grand solution to a large-scale problem – climate change. The goal was to get all nations to agree on limiting temperature rise below 1.5 degrees Celsius above preindustrial levels. To reach consensus, all participants further agreed to assist developing countries technologically and financially to ease the transition to renewable energies. The agreement was signed by all participating nations – 175 in all. But critics regard the agreement as too ambiguous and unclear about implementation to be effective. Also, it leaves the door open for continuous exploitation of fossil fuels. Are small wins an alternative? Indeed, many have argued that finding a single solution to climate change or the refugee crisis is too difficult because it is almost impossible to get multiple parties with diverging interests to reach a consensus. We believe more nimble approaches are needed. A number of development experts have argued that “small wins” might be a promising alternative to tackle large-scale problems. Small wins focus on smaller-scale independent projects with attainable and measurable objectives. For example, many firms independently develop solutions to increase energy efficiency or to avoid waste. Likewise, several EU countries have looked into better ways of processing asylum applications and easing the integration of refugees. Such small wins may not solve the entire problem – in these cases, climate change or refugee crisis – but they have tangible positive outcomes in line with longer-term goals. Also, the more countries and parties deal with the same problem, the greater the number of innovative experiments. The only problem is: How can such small wins add up to a larger-scale sustainable solution? We argue in a recently published article in Research Policy that there is a promising way of linking small wins to larger development objectives – the “modular” approach. We studied this by looking specifically at the development and adoption of so-called sustainability standards in the global coffee industry. Such standards train farmers to apply methods and policies that protect the environment, increase productivity, improve labor conditions and secure incomes for themselves and their communities. 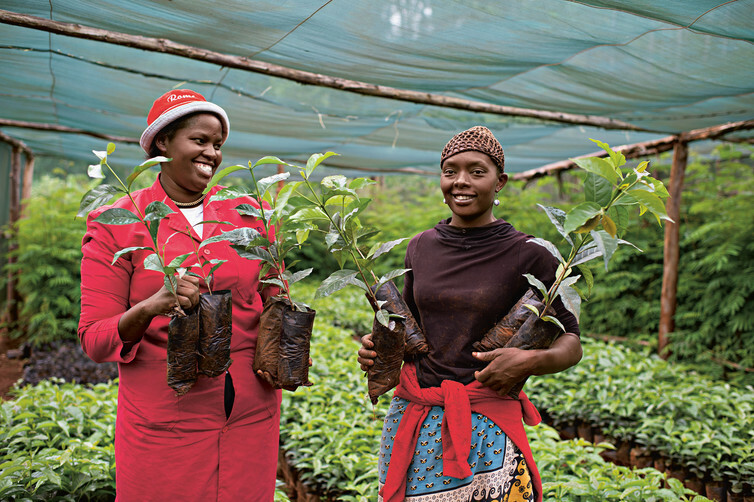 Transnational standard-setters, such as Fairtrade and Rainforest Alliance, have played an important role in this process. Standards adoption is voluntary, but a combination of consumer and peer pressure and market incentives has led to rather rapid diffusion. Within a decade, the global coffee industry has become a pioneer in developing sustainable supply chain practices that address the twin challenges of endangered livelihoods and environmental degradation. Today, over 40 percent of the global coffee volume is certified or verified sustainable. We show in our study that one key to the success of sustainability standards in coffee has been their modular architecture. Each standard consists of multiple well-defined and measurable modules, such as soil conservation and elimination of child labor. Modules have their own independent objectives. Yet, they are also interconnected and build on each other. For example, two basic modules across standards are elimination of banned pesticides and occupational health and safety. Each makes a tangible contribution to the environment and well-being of farmers. But they also reinforce each other’s effect: For example, omission of pesticides has a positive impact on farmers’ health. Furthermore, doing without pesticides serves as a foundation for advanced practices, such as organic farming, which may increase the brand and market value of coffee beans. This helps private farms and cooperatives generate more revenue and make further investments into their workforce and production capabilities. For example, as part of climate adaptation, today many coastal communities are trying to develop idiosyncratic solutions to respond to rising sea levels. Yet, while local experimentation is important, both costs and risks of failure of location-specific solutions are very high. By contrast, a modular approach would prompt local communities to implement over time combinations of tangible and tested building blocks towards greater resilience. For example, Florida has been a testing ground for resilience modules, such as installing water pumps and raising the grade of entire streets. Online services, such as Coastal Resilience, disseminate such modular solutions and provide platforms for exchange of knowledge and best practice. Similarly, EU countries are increasingly moving from idiosyncratic to modular solutions of refugee management and integration. For example, the German trade union organization IG Metall is currently developing connected modules of language and professional training for refugees that allow for faster integration into higher-skilled labor markets. These modules are designed to be transferable across industry sectors, and they serve as important foundations for more job-specific training. Overall, modular solutions can reduce the complexity of climate adaptation and refugee integration. In developing and disseminating such solutions, intermediary organizations are very important – development agencies, standard-setters, consulting groups, NGOs, industrial relations partners. Of course, modular approaches cannot eradicate today’s large-scale problems entirely. But they are more practical than grand solutions and more scalable than small wins. And they do not require reinventing the wheel. As a result, wicked problems may not look so wicked after all. This entry was posted in Business, Capitalism, Climate Change, Debate, Economic Development, Events, Political Economy, Social Change, Sustainability and tagged climate change, Grand solutions, Refugee crisis, Scalability, Small wins, Sustainability, Sustainable coffee, Wicked problems. Bookmark the permalink. Wicked problems are such overwhelming issues going on throughout the world. That although governments and committees are determined to address them by putting grand solutions in place as mentioned in the article these solutions don’t work because they are trying to tackle a huge problem with one solution. As stated, modular solutions are more practical and by many organizations focusing on tackling the same problem through smaller attainable goals makes them a step closer to attaining a more efficient solution. I consider that by smaller organizations being active in solving a problem they would certainly feel responsible to get more work done as well as trying to help society improve as a whole. 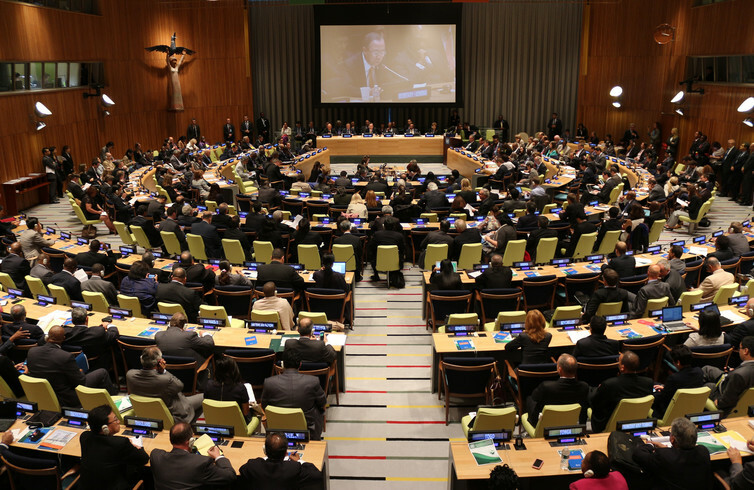 Nowadays, the refugee crisis has become to the most controversial topic in United Nations. I highly respect the opinion of this article that, the small wins supposed to be connected with a more sustainable development strategies. As the faulty experiences have already giving a warning to us of maintaining small wins in different areas but ignoring the significance of pursuing sustainability. For instance, the continuous wars taken places in middle east was owing to the conflicts between different political power, to mitigate the refugee problem, most of great EU countries have legislated to allow refugees to come and to stay. However, neglecting the differences of cultural and lifestyle with local citizens, the problem has not been sufficiently solved. As a result, it led to safety problems in EU, such as terroristic attack and the ethnical conflicts. Very interesting article. Before we discuss the solutions to these “wicked” problems, I’d like to state some truths about the world. First, there is more than enough food to feed every single person on this planet (1). Second, there is more than enough money and resources to provide a basic quality of living for every person on the planet (2). Lastly, these issues are caused by “wicked” mentalities like greed and pride. Lets examine further. Pride affects how people view others. Those who have more resources, or the ability to gain resources, will feel “more valuable” than those who have less. This disparity between the haves and have-nots affects how people are viewed and treated. Greed, from a business sense, plays into the maximization of profits and shareholder value. The combination of these two elitist mentalities give rise to a misallocation of financial and essential resources, thus creating “wicked” issues. In class, we saw a picture that represented the allocation of wealth in global countries. The U.S., Asia (China and Japan), and the EU are the three dominant markets in the world. Meanwhile, undervalued regions like Africa and South America suffer from extreme poverty. Why? It all comes down to where these markets want to allocate their money. That is the root of issues like refugee crises and world hunger. In privileged countries, we talk about issues like “sustainability”, when in reality food is naturally sustainable. What we really do is talk about the “cost” of people: The “cost” of harboring refugees or the “cost” of hiring localized workers. I’m no fortune teller, but if these wealthy countries were benevolent enough to provide basic needs like plumbing and electricity there will be less “refugee” problems. If the leaders of nations held each other accountable when a dictator gases his own people, less people will be fleeing oppression. Perhaps the reason why we fail to solve these “wicked” problems is because we choose to. I’m not saying we should create a socialist system to fund every single person in the world. I’m saying if these wealthy countries are capable of sharing a little, they would face less of these problems down the road. 2. Urban, Tim. “What Could You Buy With $241 Trillion?”. Waitbutwhy.com. March 25, 2014. Most of these “wicked” activities are indirectly human related, such as climate change and sustainable coffee. It is impossible to bring about change if one group of people care. The entire world has to work together to fix the crisis with climate change and the entire coffee industry has to commit to being pesticide free. Most of these events are not resolved because not enough people care about it to make a change. Also, profit plays a role because changing might mean making a switch the a more expensive alternative, which many would be unwilling. I agree that the EU crisis is an important topic of discussion as it really should affect people across the whole world and not just those in the EU. It really highlights how horrendous the conditions are in some parts of the world as these people who are fleeing their home country put themselves through unimaginable things to reach safety. Horribly, a lot of these people seeking refuge die on their journey to the EU when they are simply trying to make their lives better. Shockingly, there has been no legislation passed in the EU to help these people make their way to Europe safely which is really the only way we can extend a branch out to them. As it is evident that large scale solutions are not prevalent, or are simply not feasible, it would make sense that small scale solutions be adopted in an attempt for them to all work simultaneously to create a large-scale solution. However, it appears that this strategy has not created a solution and the problem is still pertinent. Some countries, like Germany, have developed modules to help integrate refugees into the new culture they are fleeing to. Despite this, I would suggest the biggest problem faced is the physical journeys and routes refugees take in order to reach the EU as it is so dangerous and can lead to vast deaths. I feel like this is the saddest element of the EU crisis as people are literally dying on their journey to what they believe is safety, when in reality it is a vehicle that is essentially a death trap. This blogpost clearly points out the dilemma in how to resolve huge issues affecting each and every person across the world, no matter whether they live in an industrialized country or in developing markets. I really like the idea of the modular approach to tackle these huge issues, as it seems that “grand solutions” and “small wins” are lacking the clout to do that. However, I’m convinced that a synthesized approach would be most appropriate: this would be a combination of a grand solution, a modular approach and small wins. The grand solution analyzes the issue on a macro-level and is approved and funded by a government. In a second step, when turning to the micro-level, on-hand solutions should be conceived on a modular approach to optimally distribute the provided funds. Thus, a combination of several modules and small wins could lead to a solution to the entire issue in the end. An initial analysis has to determine how and on what levels the problem should be approached. Eventually, close monitoring and results evaluations can determine which modules should be further pursued or scaled and which modules have not provided the desired results. Globalization forces us to think in new dimensions: not only relationship wise, but also problem wise. This blog post clarifies the current issues really well and I do agree with the modular principle. Starting small and trying to reach everyone from their point of view – concerning culture, believes, habits, opinions, educational backgrounds, etc – might take longer, but seems more efficient to me. On top of that rising the awareness of people on local levels helps them to better understand global problems in a second step. So I think the modular principle can support finding a solution that is applicable at the global level in the long run. Very Interesting, this kind of problems “Wicked problems” are very complicated and most of them are politicly influenced. Most importantly what makes the problem more worse is finding the solution, cause its never a one single solution it is complicated like the problems. However I believe climate change unlike the other problems should have been a concern to all countries that forces some real changes. This is a very in depth piece about issues that will always have more than a few solutions and debates. Although “grand solutions” are highly ambiguous and have no definite patterns, a general framework is provided which kickstarts a certain process. For example, agreements like the Paris Agreement and the Kyoto Protocol might be very broad, but they enable larger bodies and group pf populations like big countries to have certain objectives and targets. These help in solving macro issues, and can be charted out to more than 200 countries. It would be extremely difficult for each country to figure out their own emissions and individual needs on their own, but such agreements also help these countries compare themselves to others. However, the various sustainability standards must be followed, and they are steps in a new positive direction wherein the environment is protected while ensuring high quality and affordable production of food/beverages. The refugee crisis in Europe in my opinion is the doing of everyone involved. Everyone likes to point fingers at everyone to place the blame on someone else and divert attention away from themselves. But just accepting refugees is not the solution, something must be done afterwards to help them adapt to the society that they are in now. Just because they are accepted does not mean they can stick to what they “know.” They have to know adapt to their new life and not take their refugee status for granted. My parents did the same when they traveled to America in search for a new life away from poverty and war and they have adapted to the American culture while still honoring their culture. But the refugee problem will only change when people embrace the fact that their greed is what is wrecking havoc on our planet and only by working together will we even be able to solve the smallest of our problems. Very intriguing article to read. You mention how people from Africa and the Middle East risk their lives to travel to Western Civilizations. You stress the importance of helping refugees, but also point out that helping refugees is only a short term solution, and that we should be investing more in enhancing local conditions so that people in developing countries will stop risking their lives to move out. However, the developed countries extract so many resources from Africa and the Middle East. It is the best interest of world powers that the crisis continues in these regions, which gives them a leverage point to intervene and get more resources from Africa and the Middle East. The only way the struggling regions will be fixed in a long run, is if world powers prioritize these peoples sufferings over their economic agendas. This blog reminds me a lot of the book “Death of Common Sense” The book explains how there are many laws but many remain unclear and far from helpful. It is also agreed that finding many parties to agree on alternatives for climate change can and is extremely difficult especially considering that some of these solutions can be costly and damaging to certain businesses. Thus resulting in a damaging environment. We must focus on and innovative sustainable approach and from their we can both re-build better jobs and help the future of our existence. There have long been talks of finding resolutions to the world’s “wicked” problems, only to come up short most of the time. There are problems that have been on-going for a long time and countries have come together to try and find solutions to these problems only to come up short. The idea of solving the problems on a smaller scale definitely makes more sense and would definitely be more efficient than the grandiose proposals that never fall through. Things like climate change and the refugee crisis are very complex, legitimate problems and they need all parties involved in order to be remedied. One of the modules of banning pesticides for the safety of the environment as well as farmers is a push in the right direction and smaller initiatives like this should happen which will lead to big changes in the future. This is our planet and although we cannot completely eradicate all the wickedness in the world, we can take steps to make the world that we live in a better place. Mr. Narayanmurthy of INFOSYS said recently “We can not do business in a foreign land antagonising the same Govt’s wishes –something like that if I correctly recollect. He is absolutely right with full knowledge and wisdom. The real answer is making a good strategy so that IT Company should not fall under the mercy or, trap of any sevre chage in forein govt. policies like that of H1B Visa in USA. And in my depositions below I have given you the answer. India should provide jobs in India for sons and daughters of the soil of India. This automatically brings national pride for India. Any job in a foreign country will always bring a kind of second class treatment in terms of hounour and respect for Indian and Indian. Indian should design and implement virtual reality based IT Companies for IT Professionals in India ( in all cities and towns of India so to say) who can perform jobs sitting in his/her Indian home while working for Companies situated in different time zones, different countries. This way, an Indian IT Professional can be an Employee of 4 different companies from 4 different continents drawing moderately rich salaries and the whole concept is very much thinkable and feasible too. I will like to give it a name and in my wisdom ,I will like to name it as “Satellite IT Hub ” where you can perform your job functions of IT Enabled services to your Employers situated in different continents through “Video Conferencing”. Let me explain you a little more on this. Your IT Company’s name is XYZ Satellite IT Services Company Pvt. Ltd situated at 29,Sarita Vihar New Delhi. Your company has a “Video Conferencing and Remote Location Enabled hybrid Computer (Again India requires to design a Hybrid Computer by which from a remote location like that of 29,Sarita Vihar New Delhi —you(IT Expert) can enter an Employer’s Computer to do your day’s work for that Company situated at 39,woodward avenue Pennsylvanis say for example only). This way physically you are available in New Delhi ,India but mentally you are available in Penn state,USA and drawing salary in US Dollar but spending in Indian Rupees which is extremely good for Indian Government and bood the Indian tempo of consumerism of indian goods and services in india for indians while working for foreigners without giving benifits of consumerism to foreign countries also heavily support Indian patriotism @100 % and this fully supports the WIN-WIN Patriotic policy of selling services at a higher cost to foreign countries without being hurt physically and mentally while obeying the falacy “ACT LOCAL THINK GLOBAL”. Student from India can manage a Bachelor’s degree for US Dollar 2000. Student from USA, United Kingdom spend 30,000 to 40,000 US Dollar to get a Bachelor’s degree . India’s performance PISA (Program for International Student Assessment ) in 2009 was a failure miserably ,just one place before the last country ,I believe Kazakasthan. India now never participates in PISA on the pretext that English Language is an issue. India hardly has an University/Institute or, two which rank in global ranking of 250 Universities. Recently I saw a report that Indian Institute of Technology,Kharagpur could not fill up 30 % of their teaching staff . Now guess,India’s premier institute which happens to bad H1B Visa does not run on full capacity of educational stuff. This is not acceptable by any educational standard so to say. Whereas, all the educational institutes in UK,USA run on full staff with full qualifications to maintain standard. India has the world’s largest pool of universities/colleges but educational standard remains under question. So, to harmonize educational standards between developing country like India and developed countries like UK,USA , another level of PISA Test is needed (PISA is done at school level about 15 years of age which we can name it as PISA ONE ) PISA TWO should be for University level after graduation. Anyway this is my suggestion only since the students from USA,UK feel with full discripancies money-wise as well as educational standard-wise.Students from developing countries like India accept any job at a lesser price whereas students from USA,UK can not accept job at a lesser price and here lies a big disadvantage for them. In this regard India and the developing countries should adopt PISA. and maintain educational standard as prescribed by PISA designed by OECD Countries where members of developing countries are supposed to participate with full co-operation with USA,UK. standing, India’s performance in “PISA-Test” surfaced. convince GOI(Govt. Of India) about the real benifits of PISA . become a barrier to send IT Experts abroad from India. QuoteThe Programme for International Student Assessment (PISA) is a worldwide study by the Organisation for Economic Co-operation and Development (OECD) in member and non-member nations of 15-year-old school pupils’ scholastic performance on mathematics, science Unquote . Already somewhere in the debates circling “H1B VISA” while gauging India’s educational standing, India’s performance in “PISA-Test” surfaced. Astonishingly in 2009,in PISA Test, India’s rank was one before the rock-bottom country probably Kazakathan. And India is not perticipating in OECD Countries PISA Test thereafter which is done every after 3 years I believe. NASSCOM should convince GOI(Govt. Of India) about the real benifits of PISA . Since protectionism is springing up in many countries in Europe,Brexit,Contemporary USA,a time may come when USA/BREXIT,EU,Australia,New Zealand may demand PISA Score from applicants from India . And that will become a barrier to send IT Experts abroad from India. I heartily think/believe that at present in India, there is not a single PISA Compliant school . On the other hand NASSCOM should give enough notices in all major indian newspaper/dailies,TV/Print media educating Indian Guardians aspiring for good school education. First question firsrt—-Is the School PISA Compliant, In its meaning it says whether the school is included in pre-PISA Test school surveys and can the Guardian see the survey results as a stakeholder of theeir son/daughter’s education. This is a must-awareness campaign even GOI-NASSCOM should do if they prefer to do so. The greatest struggle for governments and countries in times of peril is finding the right solution that is accepted by all of its people, while worrying for people outside. However, as this article states, this solution goes beyond formulating a plan, because most decisions possess opposition from neighboring countries and companies. In my opinion, I believe that: hatred, fear, and specially greed are the main sources of negative opposition. Most countries fear to accept refugies entering their land because they could be infiltrated by Radical terrorists, this is understandable; however, denying access to refugees will result in a growth of ISIS enlisment. Furthermore, more people equates to an extreme shift in government spending to accommodate to the population growth. You’ll see, hatred for radical Islam is a real problem; thereafter we are introduced to the fear of having unknown people in the country compromising people’s peace; and finally the weight set upon the government creating opposition and destabilization of it’s people. Global warming is a great example of the greed of society, we deny cientific facts in exchange for cheaper energy in the short term ignoring the long term reprocautions. According to Elon Musk if we had 100 mega power stations we could fuel the world with clean energy for centuries. This can be easily achieved with the collaboration of most governments working together. However, the coal business is a multi-million dollar corporation showing no signs of stopping and accepting this change. That is fear, hatred, and greed halting change in the world.